Disk Cleaner Free frees up the disk space on your computer! If you need more disk space on your computer to help it run effectively, you essentially need to clean unused files and fragments of data off of your hard disk. Disk Cleaner Free is an efficient tool to clean your hard disk from Windows junk files, like temporary files, recycle bin, log files, history, cookies and autocomplete form history of Internet Explorer, Firefox, Chrome, Safari and tons of other browsers. Disk Cleaner Free is an excellent system optimization tool that can tidy up your computer and make it faster and meanwhile, protect your privacy. This comprehensive PC care utility only takes several clicks to clean up your computer. It scans and finds out the junk files that other utilities might miss, keeping you PC error-free and smooth than ever. 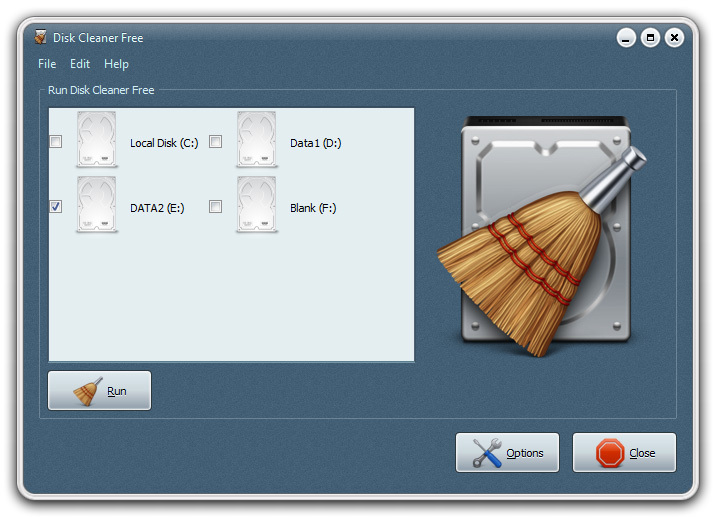 Disk Cleaner Free is able to clean all hard drives of your computer, flash-memories as well as USB flash drives. All you need to do is to choose the disk to clean, start scanning and let Disk Cleaner Free do the rest. Various additional options are provided by Disk Cleaner Free to enhance the cleaning results. To most users, this is an extra gift that helps them clean file search masks, temporary directory, recently used documents, recycle bin, old update files as well as system log. This site does not contain serial number, crack, keygen Disk Cleaner Free serial number : serial number is the simplest type of crack. A serial number(cdkey,product key,etc) is register the program as you may already know. a crack or keygen may contain harmful software. If you cannot find the exact version you want, just give it a try. for more information read .nfo/.txt/.diz file include in zipped file.